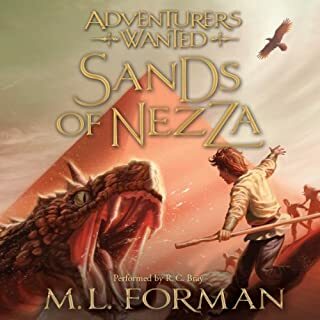 After hundreds of years without a true king, the desert land of Nezza is in danger of falling under the rule of a ruthless lord advised by an evil wizard with dark intentions. A desperate cry for help brings Alexander Taylor to this perilous land and sets events in motion that will require him to rescue an old friend from and impenetrable dungeon. Yes it met my expectations. I've listened to it more than once. Most memorable part was getting the Adventurers out of the Dungeon. Narrator does his part well. 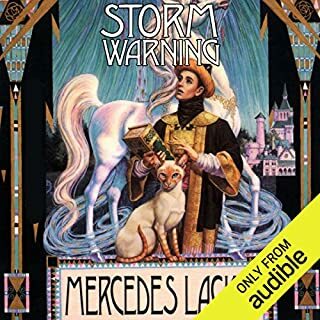 This is one of my favorite books, you have no idea how happy I am to have it in audiobook! Karral's journey from horse boy to secretary to well where he ends up is a journey I love to take over and over. I was slightly disappointed in the performance however. The narration is slow. Just enough to frustrate me. Thankfully I listen on audible's app and I was able to increase the speed to 1 and 1/2 speed. This makes all but a few sentences sound normal paced. Those sentences usually being an excited quote. Anyway thanks to this feature I was able to listen and love one of my favorite books. Finding I love this author! Love this new fantasy world! 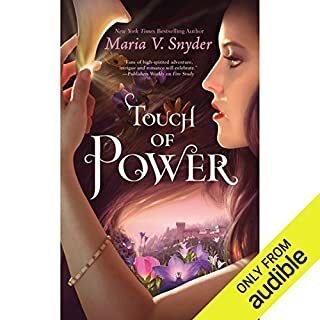 What other book might you compare Touch of Power to and why? Poisen Study also by Maria V. Snyder. There are many similarities and differences. It's been a while since I read PS though and this book reminded me why I loved it. The powerful female heros, the love interests that sneak up behind me, and force me to love them, the loyal friends, it's a combination made of gold. But this brand new world of healers has so many surprises. Since I first began reading I've not been able the shut up about it to all my friends.